Thank you for your donation this month. With your help we be able to give away funds to a worthy NZ charity next month! Northern Region is the largest of the Surf Life Saving regions in New Zealand covering Auckland to the Far North, and as far south as Raglan. Surf Life Saving is one of the best imports we’ve ever had from Australia. It was on its long sweeping beaches and in its crashing waves that lifesaving was born in 1906. The traditions that took root there first came to the shores of Lyall Bay and New Brighton in 1910. By the end of the year, four more clubs had sprung up and started patrolling. It’s our vision to see communities where every newborn is set for life. That’s why we’re helping families share the joy of parenting. We’re doing this by helping Kiwis pass on their pre-loved baby clothes and other baby essentials to families with newborns in need in Auckland. This may seem such a small thing, but every little piece of baby clothing, bedding, carseats & more that you donate, really does make a huge difference. So if you’ve got some gear that you’re thinking of passing on, here’s a massive thanks in advance from the little ones you’ll be helping. The Northern region of St John stretches as far south as Hauraki and Coromandel through Auckland, up to the stunning yet remote tip of Cape Reinga. 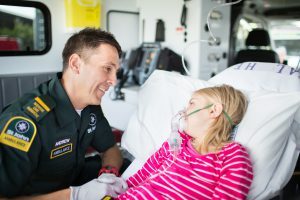 Regionally we have 5,600 paid and volunteer members delivering emergency ambulance services, first aid training, events first aid, Caring Caller, Friends of the Emergency, free health shuttles and our St John Safe Kids programme. So, who shall we give it to? services or any other means considered appropriate, including, but not limited to, the making of grants or the provision of services for any purpose that will further the welfare of hearing impaired persons. Promote to the public generally, awareness and understanding of the causes, prevention and consequences of hearing impairment. Advocacy – To understand the issues faced by those with hearing issues and to be a voice to enable them to enjoy full participation in their community. Choose one of these 3 charities to receive this money in August 2018 (Vote in the poll below before 5pm, 31 July 2018). Which of these 3 charities has your vote for the charity we support in July 2018? Thanks for your vote! If you have your automatic payment setup already, thanks! This entry was posted in Voting Open by Monique Edlinger. Bookmark the permalink.